GENEVA, March 21 (Xinhua) -- Russian Foreign Minister Sergei Lavrov on Wednesday expressed his concern over the crisis around the Intermediate-Range Nuclear Forces (INF) Treaty and the U.S. refusal to talk about preventing placement of weapons in outer space. Attending the two-day Conference on Disarmament (CD) in Geneva, the United Nations' multilateral disarmament forum, Lavrov said that the United States wishes to resume nuclear testing. Speaking of the "purposeful destruction of the INF Treaty" by the United States, Lavrov said that Washington wants to have unrestricted missile capabilities in the regions where it wants to push through its interests. "The crisis around the INF Treaty clearly shows that the nuclear arms race reduction process can no longer be based on the bilateral Russian-U.S. reduction basis," said Lavrov. "It is time to seriously reflect on how to launch a multilateral process on nuclear control building on the principle of common indivisible security," he said. There is a deterioration in the international environment and Washington is blocking the work of the CD on biological weapons and toxins, Lavrov said. Signed in 1987 between the Soviet Union and the United States, the INF Treaty marked the first-ever pact reached by Washington and Moscow on nuclear disarmament and a major step forward in restricting the arms race. However, the two sides have been accusing each other of violating the arms control agreement amid increasing tensions in recent years. Besides his concern over the INF Treaty, Lavrov also said that it is time "to talk about space weaponization as the issue is becoming increasingly relevant to preventing an arms race in space." 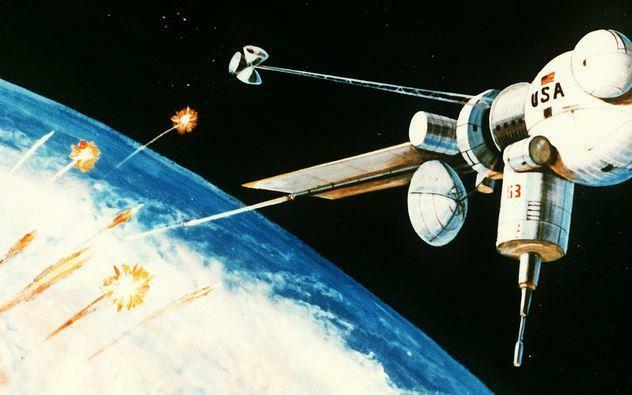 The United States refused "to negotiate the prevention of placement of weapons in outer space," he said, adding that instead of a constructive response, there was talk of "the resumption of nuclear testing, placement of strike combat systems in outer space and even about the possibility of a limited nuclear conflict. This prospect is unacceptable for Russia." The United States has already allocated funds for the creation of a "space segment of the air-defense system and deployment of the space strike weapons," he said.